We are proud to launch our brand new website! 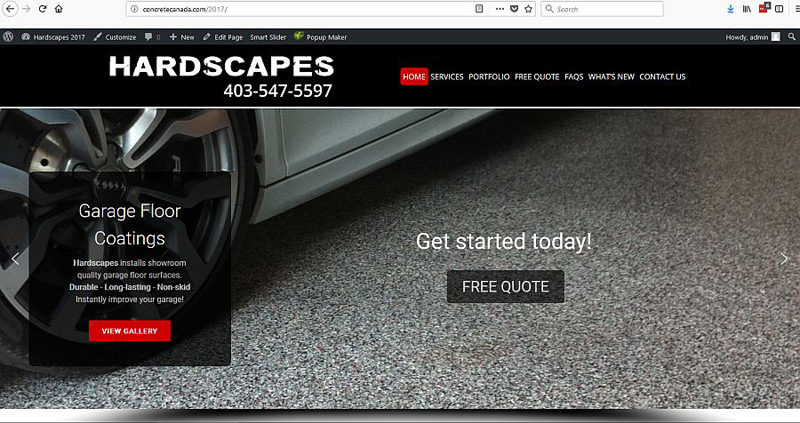 Here at Hardscapes Inc. we’re excited to announce the launch of our website redesign – www.concretecanada.com – your experts in architectural concrete finishes specializing in decorative concrete overlays, engraved and stained concrete floors, garage floor coatings and industrial/commercial floor coatings. We are happy with our website’s bold, fresh new look! We kept our website navigation the same to make the transition as easy as possible. Our primary goal is to keep our visitors informed by keeping our site easy to read and navigate so that you can find what you need when you need it. We certainly encourage any feedback that you might have about our new site, so please feel free to contact us. Thanks for your interest in Hardscapes Inc.
« Thinking about resurfacing your existing concrete basement?